Welcome to my math blog! The purpose of this blog is to help you stay informed about our learning and experiences that have taken place during our math class. I have also included links your child (and you) may want to use in order to supplement math learning in 5th grade. We will take notes on prime numbers, composite numbers, and prime factorization. I will show the prime factorization of the number 48. Today was all about note taking. 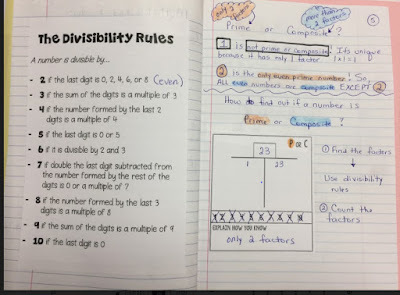 We began by adding divisibility rules to our math journal. 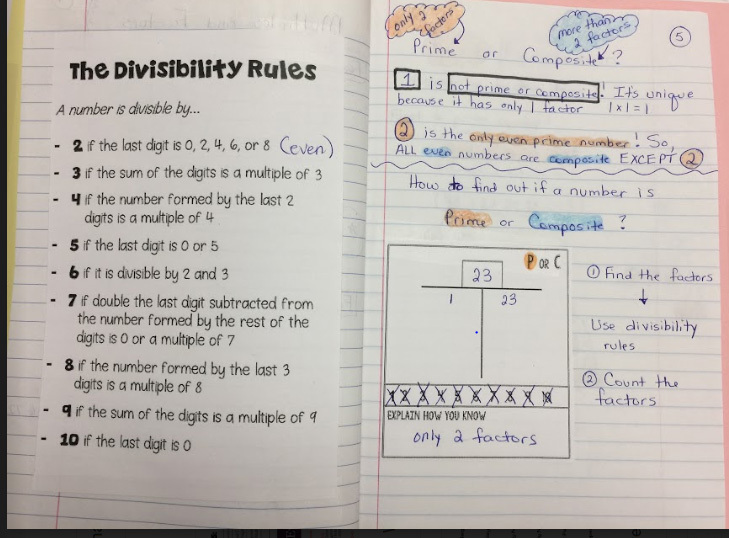 Next, we spent time defining prime and composite numbers and connected them to finding factors using the divisibility rules. I chose to record our note taking with Screencastify so that any students who were absent would be able to add the notes to their journal. Also, students can re-watch the recordings to deepen understanding (hopefully). 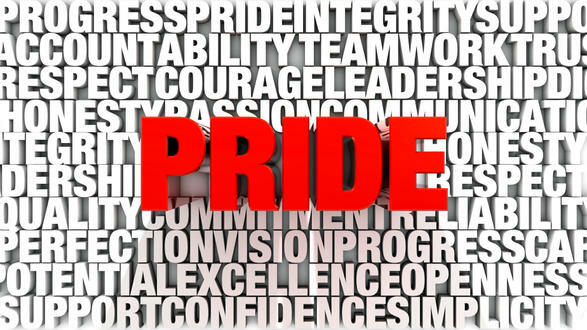 We respect people, property, and learning! Expect the same from everyone!